This is it! The last Wednesday of the year, and, the last of a series of articles on Arizona tribal Hotel-Casinos. This week we’re featuring a casino that’s been around for a while with a new hotel property. 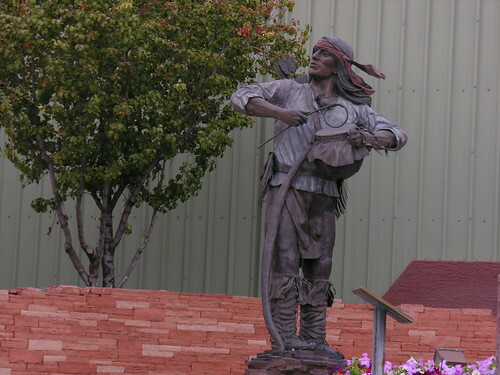 Located 24 miles from the Phoenix airport, just south of Fountain Hills, Arizona on highway AZ-87 (Payson) is the home of the Fort McDowell Yavapai Nation. Although not a name you might be familiar with, the Yavapai were instrumental in forcing Arizona into a gaming compact creating this states tribal casino system. As I mentioned in my first article last week, the Federal government passed the Indian Gaming Regulatory Act in 1988. The catch was that each state was responsible for signing contracts between themselves and the tribes who wished to participate in gaming. Unfortunately, the governor of Arizona was opposed to tribal gaming so signing anything was not going to happen. Unfortunately for the state, five casinos were already in operation around the state so in a desperate move, the Governor asked the FBI to raid the establishments, including Fort McDowell. When the FBI loaded up 349 slot machines into trucks they found that they were not going to get too far. Yavapai members blocked the casino access road with all types of vehicles and stood their ground for three weeks. The governor finally (and surely reluctantly) signed a compact with the Yavapai. This in essence created the legalization of Indian gaming in Arizona. If you want to celebrate with them, May 12th is a tribal holiday! With a 150,000 sq. ft. gaming floor, there are 866 machines, 55 table and poker games, keno, poker, and bingo. Ah-Ha-Qwah-Ja Pool Bar and Café: Beverage & light entrees. We-Ko-Pa Grill (We-Ko-Pa Golf Clubhouse): Open daily serving breakfast & lunch. 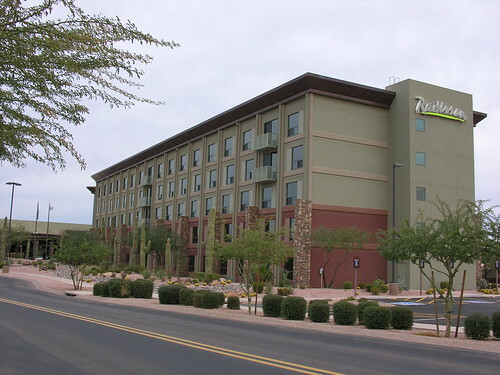 In December 2005, Radisson opened its property next to the casino. It’s interesting that although it is next to the casino, the Radisson is not physically connected to it or to the conference center that forms a buffer between the two buildings. Fortunately, the southwestern desert climate makes inclement weather a rarity so even on a brisk winter evening the walk is invigorating. - Wassaja Conference Center (25,000 sq. ft. Tomorrow – We’ll take a quick look at what will soon be the newest, and largest, Resort Casino to open in Arizona.